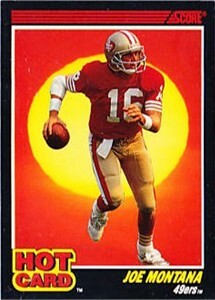 1990 Score Hot Card insert #1 of legendary 49ers quarterback Joe Montana. NrMt or better condition. ONLY ONE AVAILABLE FOR SALE.